Looking for the best Valentine this year? Look no further than your home! Red, pink & white are not just for Valentine’s Day. The warm colors work beautifully to liven up your home and add character and interest. We love the chinoiserie style, especially in a classic red shade- like these chairs. Shades of prink bring a wonderful femininity to this living space. Don’t be afraid to bring in an unexpected color, like red, into your kitchen space! Peachy coral livens up this tropical-inspired space. When you have a neutral living room, adding in a bold color helps to bring life into the space. An unexpected bold shade of red brings quirky style to this powder room. 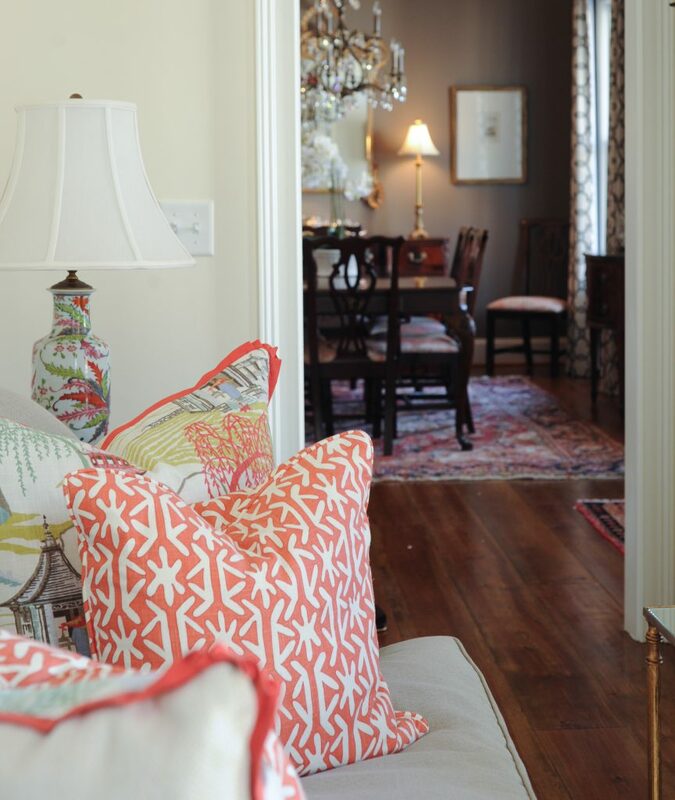 Add fun patterns to your living room with accent pillows! Soft shades of red in various patterns work well with natural elements. The Inman Park Tour of Homes Begins this Friday!